Executive Order Corporation releases Arduino Tron AI-IoTBPM. Download AI-IoT Artificial Intelligent Internet of Things PDF – Arduino Tron AI-IoTBPM Internet of Things BRMS Drools Design Architecture. Executive Order Corp – Releases the Arduino Tron IoT-BPM and GPS tracking automation and remote monitoring system, a complete package for business using the Arduino Tron advanced IoT technology. Its wireless GPS tracking allows you to monitor your office, systems, personal property and fleet from anywhere in the world. Receive remote information from any number of events like when an employee arrives on-site to where a vehicle or piece of equipment is located. The Arduino Tron GPS tracking automation and remote monitoring system tie all location and environment monitoring information together on one live GPS map. In addition to GPS tracking devices for tracking your fleet vehicles, belongings, merchandise, employees or valuables, the Arduino Tron application also allows for remote monitoring of ambient light intensity, temperature, humidity, and other device information. You can be notified when there is motion, your front door opens, garage door, back door, gate, or window(s), etc. You can also be notified by someone pressing a panic button on the remote GPS tracker. “Internet of Things” is a set of technology that will gradually and sometimes almost imperceptibly begin to affect us in the coming years. Any specific device or application might be small, but the combination of sensors and devices will create significant long-term changes that can both make our lives easier and more informed. IoT promises to provide “Smart” environments (homes, cities, hospitals, schools, stores, offices, etc.) and smart products (cars, trucks, airplanes, trains, buildings, devices, etc.). But, the task of moving beyond “connected” to “smart” IoT devices is daunting. Moving beyond just collecting IoT data and transitioning to leveraging the new wealth of IoT data to improving the smart decision making is the key. Executive Order’s EOSpy AI will help these IoT devices, environments and products to self-monitor, self-diagnose and eventually, self-direct. The definition of AI (Artificial Intelligence) is the intelligence exhibited by machines or software. Arduino Tron AI-IoTBPM is enabling what have previously been “dumb” devices to add new layers of functionality and access creating the basis for smart homes, smart cars, and smart manufacturing. It’s not just about automatically turning on an air conditioner. 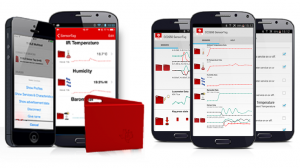 The data collected, combined with Arduino Tron AI-IoTBPM makes life easier with intelligent automation, predictive analytics, and proactive intervention. 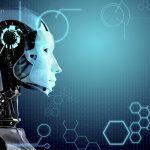 These are just a few promising applications of Artificial Intelligence in IoT. The potential for highly individualized services are endless and will dramatically change the way people live. Arduino Tron provides us the three-tiered architecture to provide a complete AI-IoTBPM system. Download AI-IoT Artificial Intelligent Internet of Things PDF AI-IoTBPM Internet of Things BRMS Drools Design Architecture. 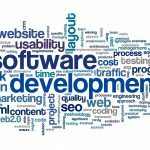 We provide custom software built by software professionals. We specialize in IoT, desktop and web-enabled IT solutions for small and large business enterprises. Our professional offerings span business and technology consulting, business application development, mobile messaging solutions, custom web design, E-commerce development, web maintenance, website re-engineering, website optimization for search engine submission, internet marketing hosting solutions for enterprises, GPS, IoT, and remote sensing services and development program planning and management. 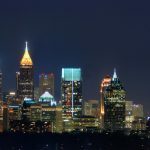 Executive Order Corporation releases EOSpy AI-IoTBPM Internet of Things with Artificial Intelligence. Download AI-IoT Artificial Intelligent Internet of Things PDF – AI-IoTBPM Internet of Things BRMS Drools Design Architecture. The Internet of Things promises to provide “Smart” environments (homes, cities, hospitals, schools, stores, offices, etc.) and smart products (cars, trucks, airplanes, trains, buildings, devices, etc.). But, the task of moving beyond “connected” to “smart” IoT devices is daunting. Moving beyond just collecting IoT data and transitioning; to leveraging the new wealth of IoT data to improving the smart decision making is the key. Executive Order’s Arduino Tron AI-IoTBPM will help these IoT devices, environments and products to self-monitor, self-diagnose and eventually, self-direct. “IoT is here” If you recently purchased a newer car, you’re already using IoT and probably didn’t realize it. The on-board GPS in your car is already using IoT sensors for traffic avoidance on your trip. Your GPS with traffic services lets you know about delays on your route and suggests or automatically takes alternate routes to guide you around the trouble spots. Your GPS is receiving information from traffic sensors via the Internet (IoT). This IoT data comes from cellular phone owners, electronic incident reports, radio feeds of live information, and fixed traffic sensors on major roads giving extremely accurate traffic reports. The Internet of Things also promises to create entirely new categories of machines, ultimately simplifying our lives and making us more informed. These are just a few promising applications of Artificial Intelligence in IoT. The potential for highly individualized services are endless and will dramatically change the way people live. 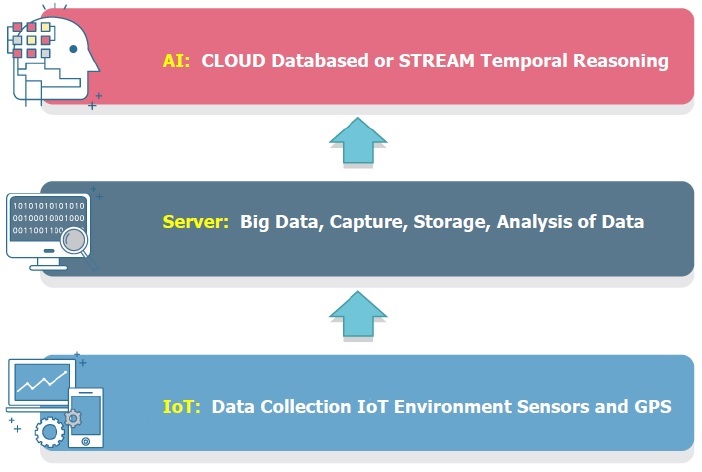 Executive Order AI-IoTBPM provides us the three-tiered architecture to provide a complete AI-IoTBPM system. IoT device management is the process of configuring, monitoring and maintaining the device software that provides its functional capabilities. Effective IoT device management is critical to establishing and maintaining the health, connectivity, and security of all of your IoT devices. The Arduino Tron Web Server provides device management to set IoT device parameters, activate and deactivate your devices, and grant access control of your IoT devices parameters from the Internet. The beauty of the Arduino Tron Web Server is that the IoT device technology becomes interactive with humans through a simple Web Server browser interface. The integration between Arduino Tron Web Server and IoT devices presents a viable control and notification solution with a bright future – one that will connect people, things, and systems together as part of business-critical processes as never before. The Arduino Tron lightweight Web Server provides an IoT dashboard, management, and control for remote management of your Internet-Enabled IoT devices. With the Arduino Tron Web Server getting your IoT project working in the cloud is a fast-easy solution. The Arduino Tron lightweight Web Server is a cloud-connected complete SoC (System on a Chip) architecture that integrates all components of a computer, WiFi and Web Server application and operates on an ESP8266 ESP-01 WiFi SoC for complete control of Internet of Things (IoT) devices from the cloud. The Arduino Tron Web Server Cloud Interface for IoT Device Control can be accessed from any web browser anywhere in the world. 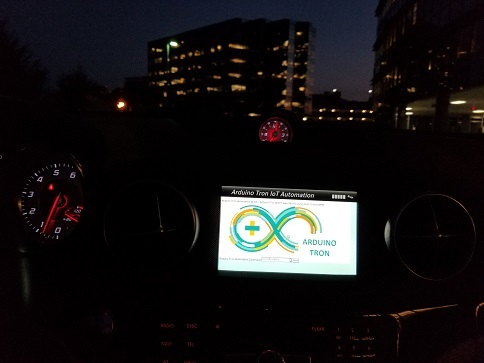 The connection shown in the above figure is from a car in-dash display using the automobile’s web browser to connect to the Arduino Tron Web Server Cloud Interface. Arduino Tron Web Server – A smart micro-miniature Arduino ESP8266 Internet Web Server device. 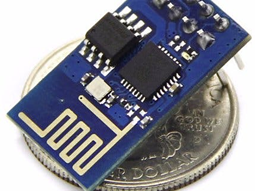 The Arduino Tron smart micro device is about the size of a quarter and can fit into the smallest spaces in your equipment. The Arduino Tron micro-miniature Web Server allows you to get alerts on equipment failures, faults or service conditions. This keeps you in constant contact with your equipment, employees, assets & field equipment status providing you with instant alerts and status conditions. The Arduino Tron Web Server Cloud Interface is built on the Arduino NodeMCU ESP8266 WiFi Internet of Things (IoT) device for small size and low cost. The Arduino Tron Web Server software uses a web browser interface and a WiFi wireless transceiver interface to stream information to the BPM-Drools Server from any remote-control Arduino Web Server. The Arduino Tron SoC ESP-01S or ESP8266 WiFi Transceiver Module with 4MB Flash memory both provide comprehensive IoT device control and management with a very small, inexpensive and lightweight IoT device cloud Internet-connected solution.